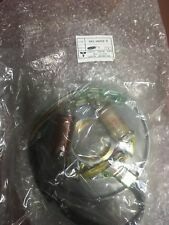 Nissan Tohatsu Outboard Carburetor Repair Kit P# 3R3871221 Factory OEM New! Finding those unique, interesting, and rare Maine treasures is a passion and sharing them to the rest of the country is a pleasure. Wire harness has been cut off at the box. Nissan outboard control box with tilt. Cables hookups everything plug and play ready. 7 1 /2 f ee t sh if t ca bl es. N O KE Y. w or ks g re at. Sh ip s Lo we r 48 US o nl y.
Tohatsu 2002 M50D - 2-stroke Tohatsu GEAR CASE (PROPELLER SHAFT). Tohatsu 2002 M40D2 - 2 Stroke Tohatsu GEAR CASE (PROPELLER SHAFT). Tohatsu 2002 M40D - 2-stroke Tohatsu GEAR CASE (PROPELLER SHAFT). Tohatsu 2002 M50D2 - 2 Stroke Tohatsu GEAR CASE (PROPELLER SHAFT). This shift lever was removed from a 1998/99 Nissan, 4 stroke, 5 HP outboard motor. Tohatsu Nissan Outboard Side Remote Control Box. Condition is Used/ previously installed but removed before use. Shipped with Economy Shipping. The prop is for models 60a/70a/70b. 2002 And Earlier NS90A MOTOR COVER. PN 3B7S67510-0. Nissan 90 HP Upper Cowl Motor Cover Assembly Good Usable Condition Could Be Cleaned. Fits Nissan 80-90 HP Pre 2002. 2002 And Earlier NS80A MOTOR COVER. This flywheel was removed from a 1998/99 Nissan, 4 stroke, 5 HP outboard motor. Nissan 9.8 HP 2 Stroke Cowling. Condition is Rough but usable. Nissan Tohatsu. This fits several 50-55-70-Nissan and Tohatsu 1986 and newer carb 2 stroke motors. Power Tilt and Trim with relays. Removed from 70 Nissan NS70 A2 Parts was checked before removal to make sure they were in good working condition. NISSAN Tohatsu OUTBOARD motor 2 stroke ignition coil 1996 - 2006 year. There are no cracks or breaks. RR2 Box 53. Johnson and Evinrude. Cowling Covers. Bargain Bin parts. If you send your phone number, we will call you back with your quote in order to expedite service. Nissan P/N 369661104, replaces 369661103. ﻿NEW Genuine Nissan Tohatsu 4 / 5 HP 2-Stroke Outboard Shift Lever. Finding those unique, interesting, and rare Maine treasures is a passion and sharing them to the rest of the country is a pleasure. This is a Used Nissan Prop. Prop Shaft…………….20% of the value. Size 14 x 13. Vertical Drive Shaft….20% of the value Internal ………….40% of the value. Housing……………. ….60% of the value Block ……………. 2002 And Earlier NS70C BRACKET (1) - FOR PTT. 2003 NS70C BRACKET (1) (FOR PTT). PN 3F3-72574-1. Nissan 70 HP Sending Unit ASSY. Fits Nissan Tohatsu 60-115 HP Pre 2002-2010. 2002 And Earlier NS60B BRACKET (1) - FOR NEW PTT. 28920-JA00A 28920JA00A. Washer Pump Motor. unless stated differently in the above ad . DRVIDGUY Hours . 2002 And Earlier NS70C LOWER MOTOR COVER. 2003 NS70C LOWER MOTOR COVER. PN 3F3S67100-1. Nissan 70 HP Lower Cowl Motor Cover Assembly. Fits Nissan Tohatsu 70 HP Pre 2002-2003. 2002 And Earlier NS60B LOWER MOTOR COVER. 2002 And Earlier NS70C DRIVE SHAFT HOUSING. 2003 NS70C DRIVE SHAFT HOUSING. PN 3F3-02311-0. Nissan 70 HP Exhaust Pipe. Fits Nissan Tohatsu 60-70 HP Pre 2002-2003. 2003 NS60C DRIVE SHAFT HOUSING. NISSAN NS90A 90 HP OUTBOARD POWER TRIM TILT ASSEMBLY WITH MOUNTING BOLTS. IN VERY GOOD CONDITION WITH ORIGINAL PAINT, NO CORROSION. FULLY TESTED AND IS SMOOTH AND QUIET. REMOVED FROM A FRESHWATER 1992 TWO STROKE 3 CYLINDER 90 HPNS90A MOTOR BUT FITS OTHER 60 70 80 & 90HP NISSAN AND TOHATSU MODELS FROM THE 90'S AND EARLY 00'S. 2002 And Earlier NS70C UPPER MOTOR COVER. PN 3N4S-67510-0. Nissan 70 HP Cowl Upper Motor Cover Assembly. Fits Nissan Tohatsu 70 HP Pre 2002. Condition is Used. Functions as it should. Working when removed. This carburetor assembly was removed from a 1998/99 Nissan, 4 stroke, 5 HP outboard motor. Nissan P/N 353062651. Finding those unique, interesting, and rare Maine treasures is a passion and sharing them to the rest of the country is a pleasure. 2002 And Earlier NS70C BRACKET (1) - FOR PTT. 2003 NS70C BRACKET (1) (FOR PTT). Nissan 70 HP Stern Brackets. PN 3E0S62113-1. Fits Nissan Tohatsu 60-140 HP Pre 2002-2010. 2002 And Earlier NS60C BRACKET (1) - FOR PTT. NISSAN NS90A 90 HP OUTBOARD FLYWHEEL. REMOVED FROM A 1992 TWO STROKE 3 CYLINDER 90 HPNS90A MOTOR BUT FITS OTHER 80 90 HP NISSAN AND TOHATSU MODELS FROM THE EARLY 90'S 2002. THIS WAS REMOVED FROM A RUNNING MOTOR WITH LOW COMPRESSION. 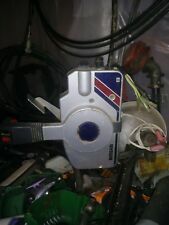 1992 Nissan 50hp 2 Cylinder 13 pitch prop in good working condition. PN 353610300. MN NS50C 390-1. Nissan Tohatsu 50 HP Drive Shaft Housing Assembly. 2002 And Earlier NS70C ELECTRIC PARTS (DIAGRAM). 2003 NS70C ELECTRIC PARTS (DIAGRAM). PN 3F3-76110-1. Nissan 70 HP Cord Assembly A. Fits Nissan Tohatsu 60-70 HP Pre 2002-2003. NISSAN Tohatsu OUTBOARD 90 HP flywheel 2 stroke 3 cylinder motor 1996 - 2006 year. NISSAN NS90A 90 HP OUTBOARD COMPLETE CARBURETOR SET, INCLUDING MOUNTING BOLTS. REMOVED FROM A FRESHWATER 1992 TWO STROKE 3 CYLINDER 90 HPNS90A MOTOR BUT FITS OTHER 90 HP NISSAN AND TOHATSU MODELS FROM THE 90'S AND EARLY 00'S. Nissan / Tohatsu Outboard Marine Outboard Prop Propeller 11x14 pitch, 13 Spline, 2-stroke 50, 60 70 90HP 1980's-1990s. 2002 And Earlier NS70C ELECTRIC PARTS (DIAGRAM). 2003 NS70C ELECTRIC PARTS (DIAGRAM). Nissan 70 HP Choke Solenoid Assembly. PN 361-76050-0. Fits Nissan Tohatsu 25-70 HP Pre 2002-2005. 2002 And Earlier NS15D ASSEMBLY KIT. Nissan Tohatsu Outboard Gasket P# 3T5650182 Factory OEM New!! Nissan Tohatsu Outboard Carburetor Mt. Gasket P# 3H6020110 Factory OEM New!